BTS is the breakthrough K-pop band. 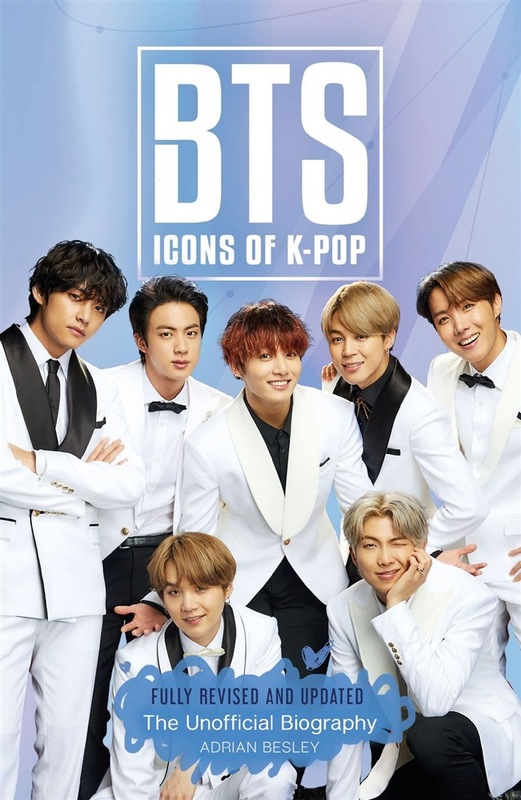 For the first time, this unofficial biography tells the story of the Korean boy band with a global army of fans, who have propelled their heroes to the top of the charts all over the world. Seven good-looking boys – RM, Jin, Suga, J-Hope, Jimin, V and Jungkook – who can dance as well as they can rap and sing, are tearing up the global music charts. Nothing new? Think again. 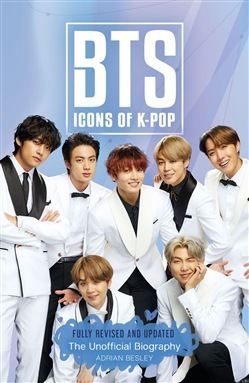 BTS, who rose to fame in their native South Korea in 2013 and who sing almost entirely in Korean, are now a sensation in the US, the UK and the rest of the world. K-pop is a growing phenomenon in the West, and over the last few years, it has steadily gathered a huge global following. With their talent, dedication, good looks, fabulous choreography, and catchy blend of pop, hip hop and RnB, BTS are leading the advance. - BTS's latest album ‘Love Yourself: Tear’ went straight to #1 in the US charts – the first ever Korean album to achieve this - They were recently profiled in US Vogue – the first K-pop band to be granted such an honour - The music video for their recent single 'Fake Love' got 36 million views on YouTube within 24 hours of release, and hit 100 million views in 8 days - The music video for 'MIC Drop (Steve Aoki Remix)' has had over 262 million views on YouTube since December 2017 - They won the 2018 Billboard Music Award for 'Top Social Artist' for the second year in a row - Listed by Forbes as the most retweeted artist on Twitter in March 2016 – and their fanbase has ballooned since then - Named in Time magazine's 'Top 25 Most Influential People on the Internet 2017' list - The boys recently announced a World Tour for 2018, which sold out in minutes Extensively researched, and written in an upbeat and accessible style, this book interweaves the success stories of each of the boys with how the band got together, while documenting their amazing rise to fame in Southeast Asia, and then the world. It includes 16 pages of full colour photographs of the band playing live, posing and having fun. Acquista BTS in Epub: dopo aver letto l’ebook BTS di Adrian Besley ti invitiamo a lasciarci una Recensione qui sotto: sarà utile agli utenti che non abbiano ancora letto questo libro e che vogliano avere delle opinioni altrui. L’opinione su di un libro è molto soggettiva e per questo leggere eventuali recensioni negative non ci dovrà frenare dall’acquisto, anzi dovrà spingerci ad acquistare il libro in fretta per poter dire la nostra ed eventualmente smentire quanto commentato da altri, contribuendo ad arricchire più possibile i commenti e dare sempre più spunti di confronto al pubblico online.